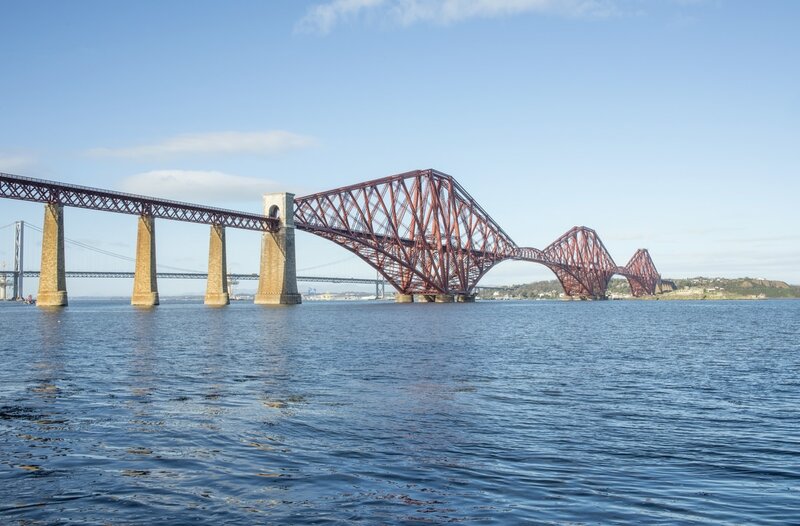 We are delighted to give you some ideas of tours and look forward to discussing your preferences and showcasing some of the best sights in Edinburgh and the surrounding area. 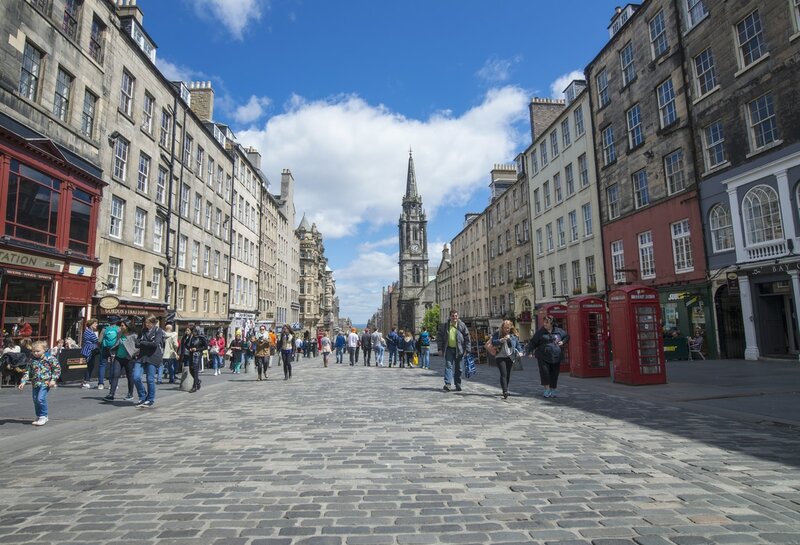 Take a walking tour with your qualified tour guide through the historic Old Town of Edinburgh starting in Holyrood Park and making your way to the foot of the Royal Mile and working your way from the Palace to the Castle. Along the way discover the history, the character, the architecture and the beauty of some of the buildings and streets of the Old Town’s Royal Mile area. You will discover why Edinburgh had some of the world’s first sky scrapers, the difference between the closes and wynds (the narrow streets that run off both sides of the Royal Mile and to stop at significant places on route such as the Heart of Midlothian, St Giles Cathedral and the old Scottish Parliament. 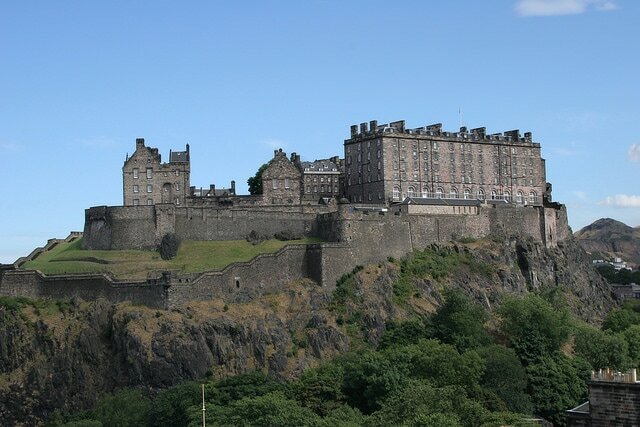 After a break for lunch re-group to explore Edinburgh Castle with your guide and then enjoy the rest of the afternoon at leisure.. 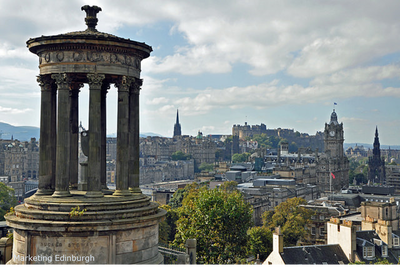 Accompanied by one of our local expert tour guides the group will embark on a panoramic tour of the city of Edinburgh. The group will be able to take a closer look at sights in the Old Town and the New Town discovering which areas make up the UNESCO World Heritage Site while admiring the Old Town sights including Edinburgh Castle and The Palace of Holyroodhouse plus the New Town with its magnificent Georgian architecture. 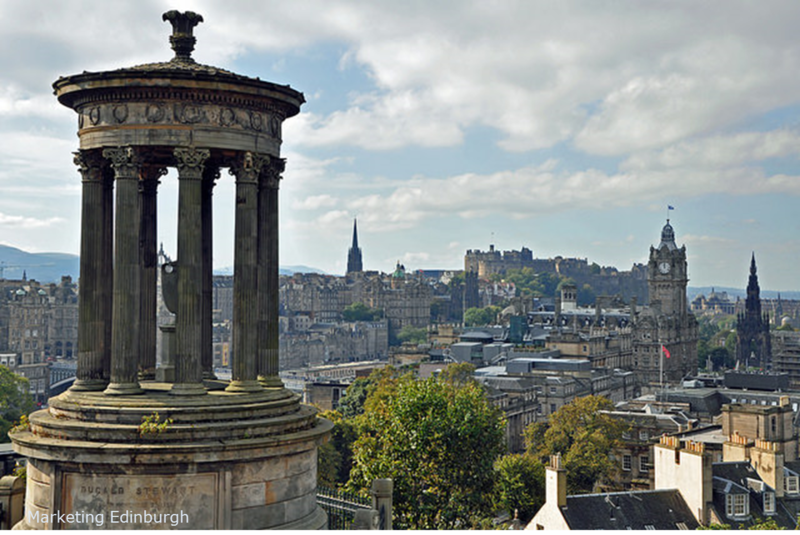 Photo opportunities include: Arthur’s Seat, Calton Hill, the Grassmarket, the New Town, the Old Royal High School and the Royal Mile. After the panoramic tour the group will have the opportunity to visit the Royal Yacht Britannia which is docked in Leith. This magnificent ship has played host to some of the most famous people in the world. But, above all, she was home to Her Majesty the Queen and the Royal Family. Now in Edinburgh you are welcome on board to discover the heart and soul of this most special of royal residences. From Sir Winston Churchill to Boris Yeltsin, Rajiv Gandhi to Nelson Mandela, some of the world’s most influential people have been welcomed aboard Britannia; now you can stand where they stood and see what they saw. 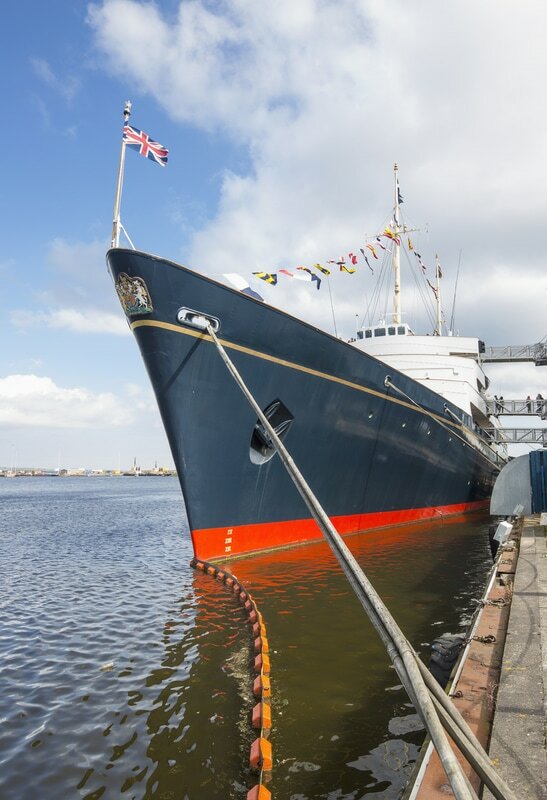 After exploring the Royal Yacht Britannia the group will have 2.5 hours free time to spend in the local area with the option to visit Ocean Terminal for shopping and restaurants or enjoy lunch in the Shore area which is home to some lovely restaurants. 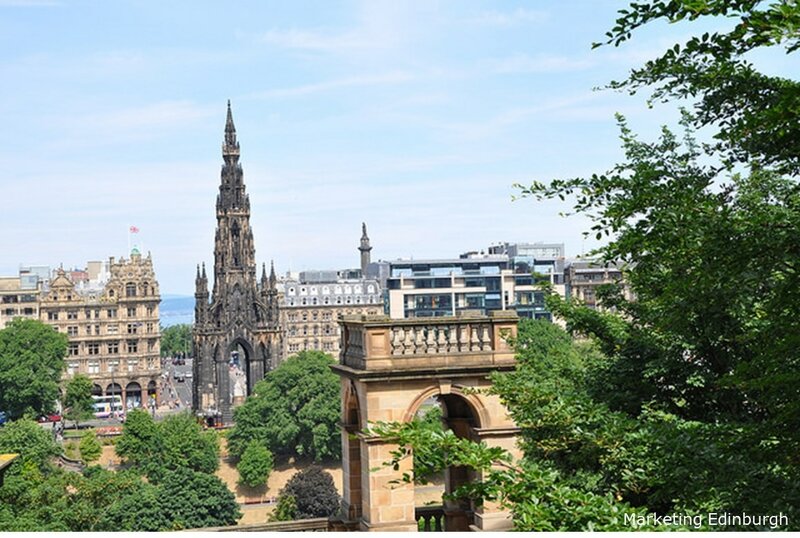 After free time the bus will transfer the group to the Royal Botanic Gardens Edinburgh for the group to have some free time to explore the gardens and enjoy the summer blooms. 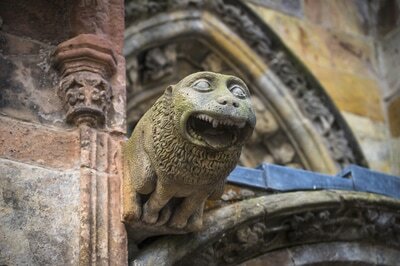 On the bus journey to Rosslyn Chapel the guide will tell you stories about the local area. 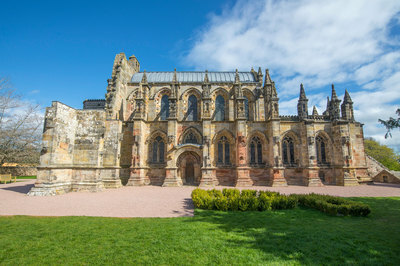 Upon arrival at Rosslyn Chapel the group will be greeted by a Rosslyn Chapel guide who will give you a tour of the chapel and reveal the history of this beautiful chapel, the intricacies of the carvings displaying true master craftsmanship and discussing the links between Rosslyn Chapel and the worldwide bestselling novel The Da Vinci Code. 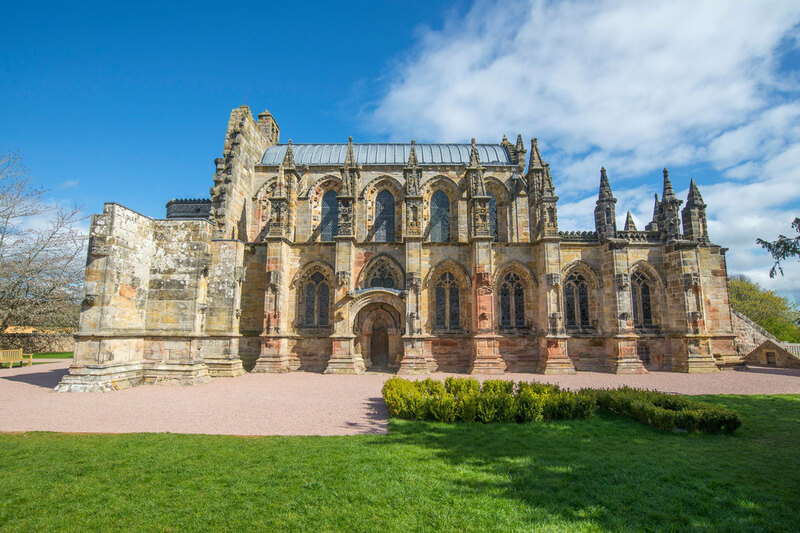 After visiting Rosslyn Chapel you can enjoy lunch in a nearby local restaurant before visiting Glenkinchie Distillery. 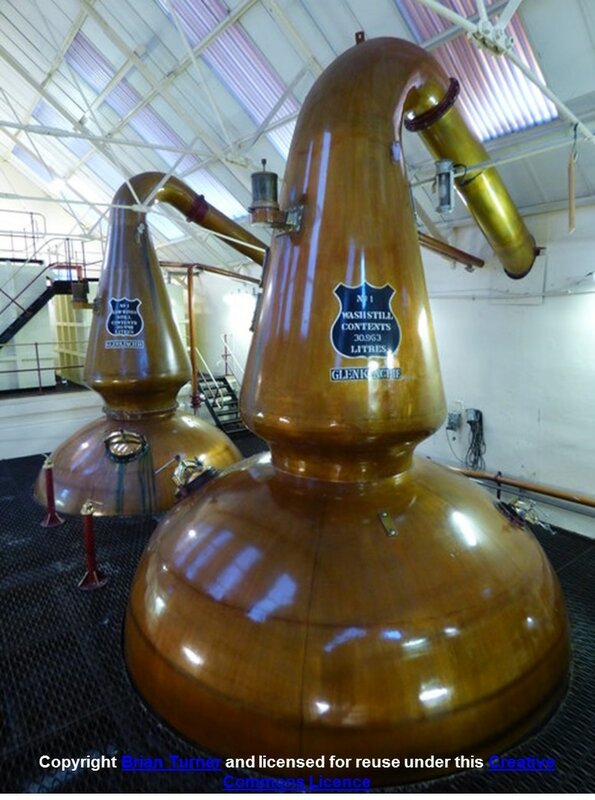 At Glenkinchie the visit begins in the Old Malting Floors where the group will have a chance to see the fantastic exhibition which hosts the renowned model distillery. The group will then be met by their distillery guide and led through the production area of the distillery learning how to make our water of life. To finish the tour the group are welcomed into the bar for a dram of Glenkinchie 12 Year Old Single Malt Whisky and a couple more malts from throughout Scotland. You will start by boarding the coach with your tour guide and you will travel for approximately 1 hour before reaching Stirling Castle. 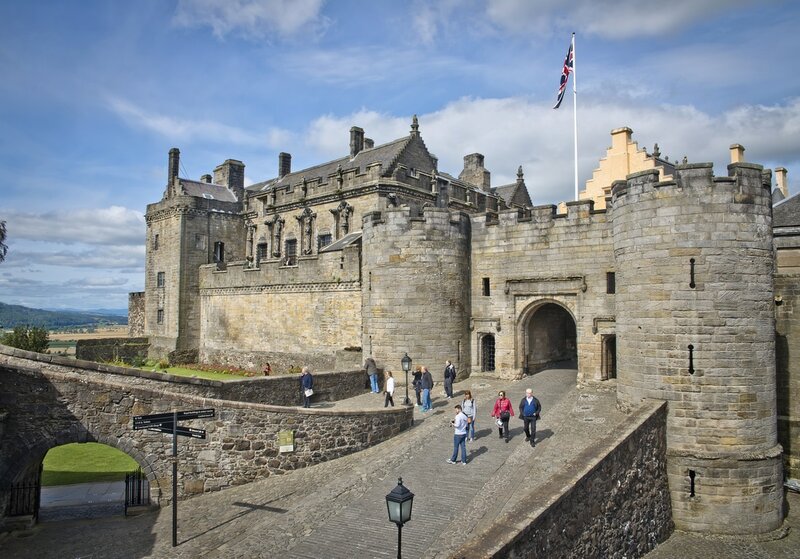 Here, you will have the opportunity to explore the family home of Mary Queen of Scots and discover the secrets of Stirling Castle. Stirling Castle is a favourite for many visitors of castles in Scotland and one of the main reasons is that it feels like both a fortress and a home. It was the childhood home of Mary Queen of Scots and you can only imagine when you stand within the castle what a place it would be for a child to grow up. 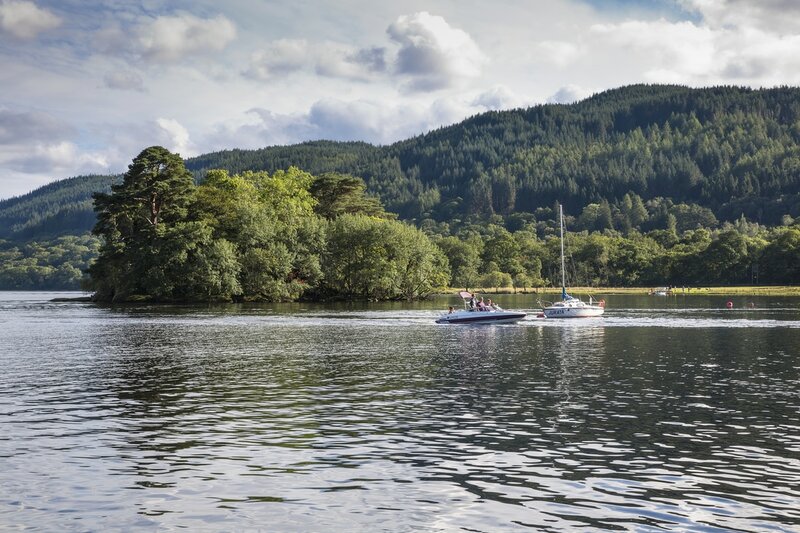 After visiting Stirling Castle you will stop for a delicious lunch in a local restaurant before traveling to the banks of Loch Lomond. Lunch will include 3 courses and a drink. 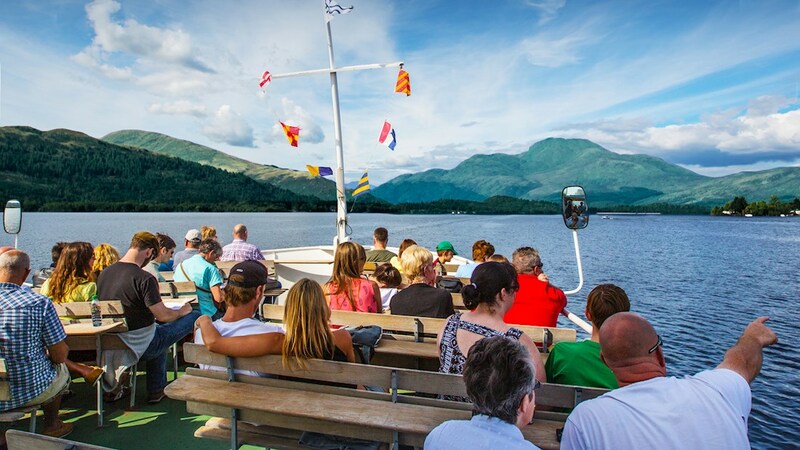 At Loch Lomond the group will have the opportunity to take a cruise on the loch and admire the beautiful scenery with views to Ben Lomond. There is commentary on the boat to highlight the key places of interest while you cruise on the loch. 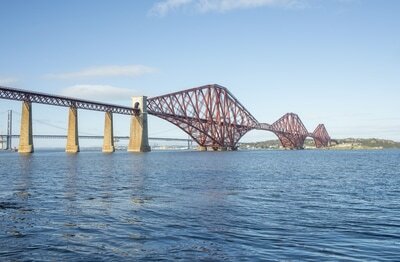 You will be welcomed by your tour guide onto the coach and will travel for about half an hour to South Queensferry for a photo stop of the UNESCO World Heritage Site Forth Bridge plus the Forth Road Bridge and new Forth Crossing. We will stop for approximately 30 minutes to ensure everyone can get a photo opportunity. 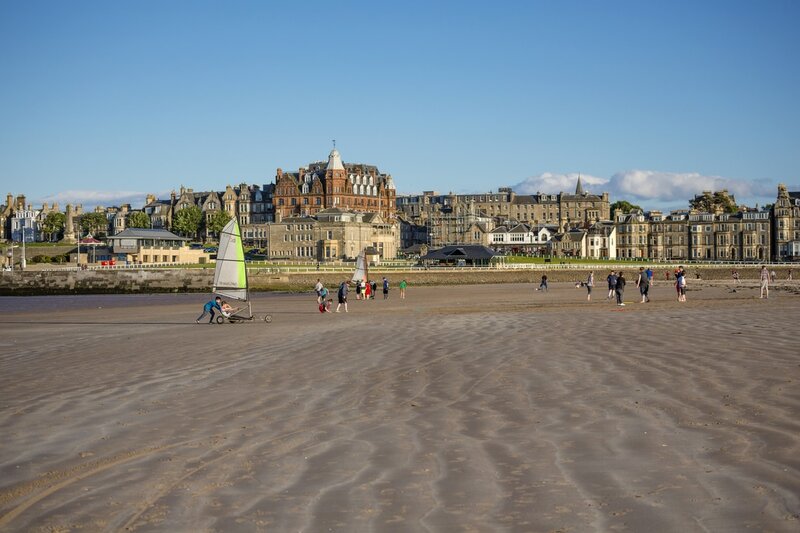 From here, the group will travel to St Andrews and here the group will have the opportunity to take a short walking tour of some of the key highlights in the tour including the famous beach, some of the university buildings and the iconic Old Course 18th hole. 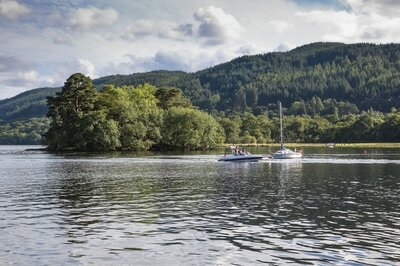 After the tour we recommend giving people free time to shop, take lunch and explore at leisure. 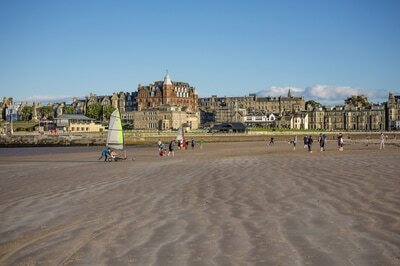 From St Andrews the drive to Glamis Castle will take around 1 hour. You will then join the conference delegation for their event. Glamis Castle makes an impression on you as soon as your travel through the large gates and down the mile long tree lined drive way. As you get closer to the Castle it begins to impose itself and you find yourself looking at what can only be described as looking similar to a fairy-tale palace. 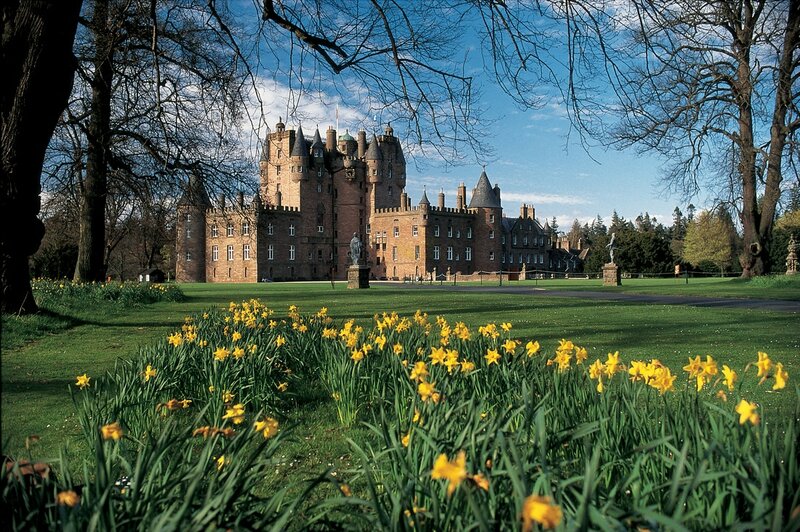 Glamis Castle has been the ancestral home of the Earls of Strathmore for over 600 years and was a place the Queen Mother loved to play in as a child. Having witnessed over 600 years of history there are many rooms to be explored and discovered, stories to be revealed by the local guides and your chance to explore Glamis for yourself. From suits of armour to family pictures this castle is special as it is one of the only ones I have ever visited that retains its feeling of being a family home and that you are exploring somewhere that you perhaps should not be. 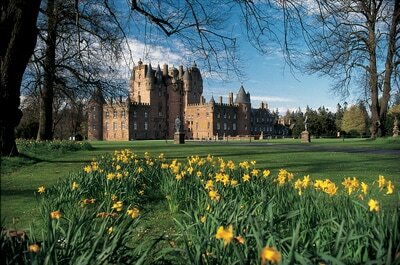 Glamis has a magic about it that many other castles do not. The VIP tour allows your clients to take photographs which normal visitors are not permitted to do.